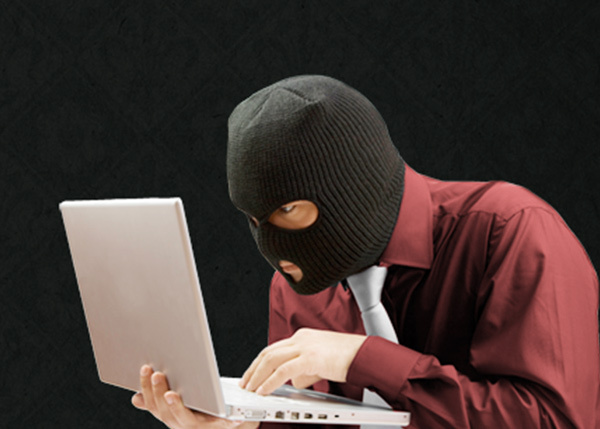 The combination of AxProtector and IxProtector proves ideal when you’re in need of extremely high levels of software protection against reverse engineering and piracy. AxProtector creates a protective shield around your entire software package. Additionally, IxProtector encrypts individual functions. The functions processed by IxProtector remain encrypted even after the loading of the software, and are decrypted in memory only for the strictly necessary time during their actual use. This double protection layer provides optimal protection against typical cracking techniques like memory dumping, patching and emulation of software protection. IxProtector is integrated into AxProtector and can be used in addition or as an alternative to AxProtector. The use of AxProtector, however, is advisable to maximize the protection level of the software. 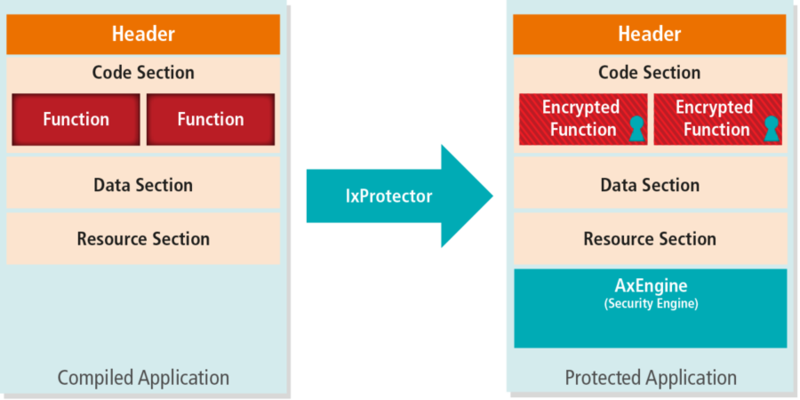 If only individual parts are protected within an application or library, IxProtector is used as an alternative to AxProtector. In such a case, parts of the software can also be used without a license. Should the parts without a license be protected against reverse engineering, the use of a Protection Only License is the recommended solution. IxProtector protects executables and libraries for Windows, macOS and Linux. If your software consists of several applications and libraries, a combination of modules is possible: you can mix modules protected with AxProtector, protected with IxProtector, protected with both, and unprotected. A mixed operation that includes modules protected with AxProtector .NET is also possible. In order to define which functions to protect, you should flag them in the source code of your application. The Wibu Universal Protection Interface (WUPI) will then be integrated in your source code. Through this interface, you can set when the protected functions are decrypted and re-encrypted. The decryption and encryption of each function has very low impact on the performance of the application. With WUPI you determine when these actions take place and can thus optimize the performance and security of your software. Besides the decryption and encryption of functions, WUPI offers the possibility to allocate and release licenses upon request. Optionally, you can implement unused code in your software that IxProtector can turn into a trap (Honey Pot). During the implementation of IxProtector and WUPI, you are going to work with a dummy library. Thus, you can run the software during the development and test stages, without any encryption being executed. injects cryptographic operations into the license queries. Through these cryptographic operations IxProtector ensures that the typical "record and playback" attack is prevented. Moreover, IxProtector injects hidden commands in your software that CodeMeter utilizes as traps (Honey Pot). A cracker who should try to decrypt all encrypted functions would inevitably fall into a trap. Such a case would result in the lock of the license, which could no longer be used to decrypt other functions. IxProtector is therefore an excellent provider of protective measures against the systematic analysis of your software.